Since training for the Cotswold 113, I’ve rediscovered a love of trail running. 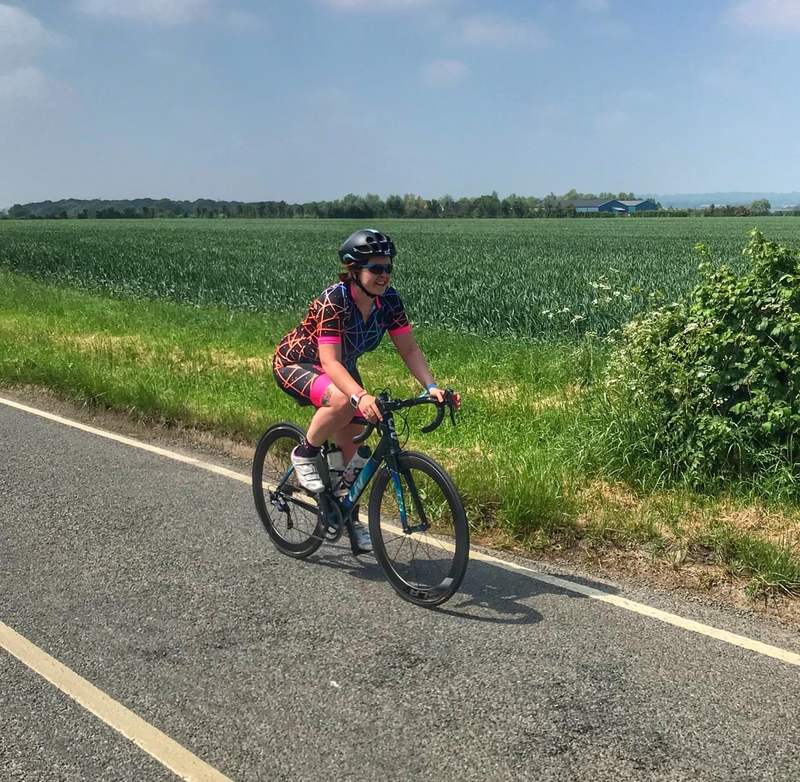 Getting away from the familiar streets and challenging myself on different terrain really helped to keep my training interesting in the build up to my half-ironman. Last weekend, I escaped the streets again and ventured into the woods at Bedgebury Forest in Kent. I had been invited to explore one of the Wild Running routes recently launched by The Forestry Commission, in partnership with Sport England. The 10k loop has been designed and mapped by trail running enthusiasts and authors of the guide book ‘Wild Running’ Jen and Sim Benson. These trails have been specifically designed for those who actively seek escapism and are driven by a sense of freedom. In addition to Bedgebury, The Wild Running routes are also available at Delamere, High Lodge and Sherwood Pines forest. Far away from traffic and surrounded by nature, I explored the terrain shaded from the morning sun by the tall pine trees. The trails offer a completely different sensory experience to running the streets. The minutes and miles seemed to fly past, as I ran with just the crunch of gravel under my feet, the smell of pine trees and the sound of birds chirping. Feeling more refreshed and relaxed the further into the forest I went. One of the big advantages of trail running is that the softer surfaces lessen the impact on the joints, meaning that recovery is quicker and the risk of injury is reduced. The pain I usually get in my shins and ankles is hugely reduced when I run off-road. As this particular route is aimed at more experienced runners, it’s fair to say that it quite hilly with some technical sections. The more rocky, uneven areas require concentration and awareness of your footsteps. I barely noticed the stats on my Garmin as I focused on the scenery around me. Although I do I have a tendency to get lost on trails, so I had downloaded the gpx file to my Garmin which kept me on course for the 6.7 miles. The route takes you past Louisa Lake and through the National Pinetum which contains nearly 10,000 trees and shrubs (including 1,800 different species). Colourful foxgloves were in abundance amongst the woodland. The forest also offers plenty of opportunities to spot wildlife. Glen discovered a Slow-Worm on his run, which he initially thought was a snake! Bedgebury is also popular for mountain biking and walking, with plenty of people out enjoying the forest. The facilities include plenty of car parking, a cafe, toilets, showers, visitor centre, cycle hire, bike wash, picnic areas, play areas and information points. I’d been keen to come back and explore the woods again, perhaps by mountain bike next time. For beginner runners, the Forestry Commission are also launching ‘Run Forest Run’ trails which are up to 3km in length. Their free email training programme includes weekly exercises, inspiration, tips and health advice for getting you off the sofa and into the woods. The shorter trails will be piloting on three forest sites; Delamere, Dalby and High Lodge Thetford providing a quiet haven to encourage beginners to build up their distance. Post written in collaboration with The Forestry Commission, but all opinions are my own. Do you prefer road or trail running? Have you visited Bedgebury Forest? It looks beautiful there- I love the foxgloves! I have been to Sherwood Pines for a 10K and love it there- they have colour coded sign posts for the different routes and there are always loads of people cycling there. I would love to run on more trails but I worry about getting lost so I would choose somewhere like this over just the local woods or something.